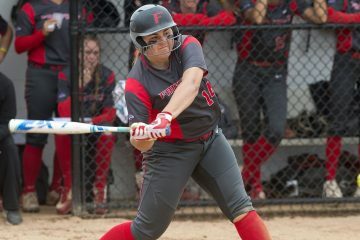 The Fairfield University Softball team had pivotal Metro Atlantic Athletic Conference matchups against Iona College and Marist College at the Alumni Softball Field. 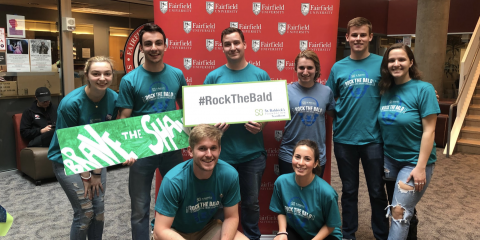 The Stags would first take on the Marist Red Foxes on Friday, April 13, as Fairfield faced off against the Iona Gaels on Saturday, April 14. 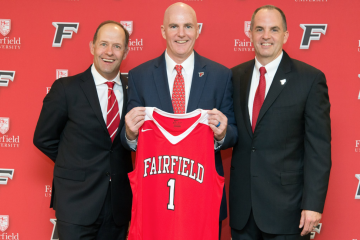 Having a 4-2 conference record heading into the weekend, Fairfield wanted to keep a positive record to ensure a better chance at securing a good seed in the MAAC tournament. In the first game, Marist jumped all over Fairfield starter Destinee Pallotto ‘18 as she only lasted 3.1 innings while she surrendered nine earned runs. Marist starter Megan Beiermeister ‘19 tossed a complete game, allowing seven hits along with four earned runs, while only striking out three. Junior Claire Oberdorf drove in four runs with one swing, being a grand slam which was a decisive blow since it was a tie game preceding the home run. Third baseman Brittany Colombo ‘18 collected three hits as well as three runs batted in and even three runs scored. 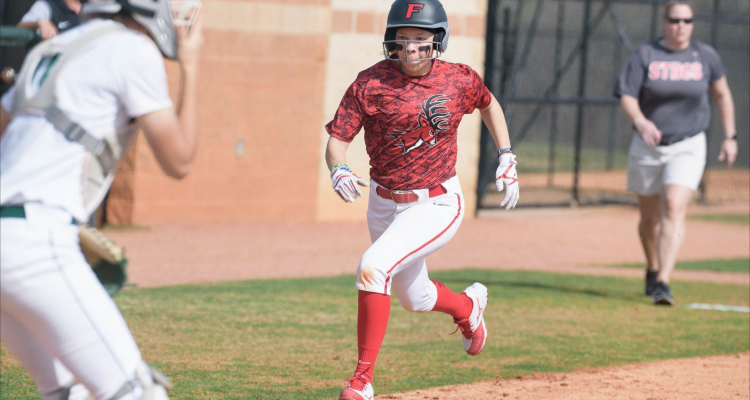 Three other Red Foxes recorded multi-hit games: Caroline Baratta ’21, Ali Maham ‘20 and Kourtney Paul ‘18. Runs came easy for Marist as they blew past Fairfield, 16-4. After a dominant victory, Marist looked to sweep the doubleheader and Kallen Leeseberg ‘19 took the mound to do so. She went 5.2 innings as she walked just two and allowed two runs, giving the Red Foxes an opportunity to secure the second victory of the day. First-year Lauryn Rhinehart took her fifth loss on the season, surrendering five earned runs and seven hits and, shockingly, did not strike out any batters. For Marist, Paul and Oberdorf again recorded a multi-hit game as Paul drove in three of Marist’s six runs. In contrast, no Stag had more than one hit in the game as the Marist pitching kept Fairfield’s offense quiet. After back-to-back losses, Fairfield looked to bounce back against the Gaels on Saturday. Only four runs were scored in the first game of the doubleheader. Rhynehart took the mound again, looking to avenge her bad outing last time. Iona plated an unearned run in the second inning, but Fairfield would wait until the bottom of the sixth inning to take the lead after a double by catcher Drew Westford ‘21. This clutch hit gave the Stags a 3-1 lead as Pallotto pitched a shutdown final inning to secure the win. In the fourth and final game of the weekend, Fairfield was looking to go 2-2 in those four games. Much like last game, scoring was not prevalent at all as only three runs were scored among the Gaels and Stags. Pallotto and Alana Evans ‘19 traded zeros for most of the game but Tori Danner ‘18 broke the scoreless tie with a home run for the Gaels. In the next two innings, two unearned runs scored to give Fairfield a 2-1 lead where Pallotto threw a complete game shutout as she struck out 13 batters. 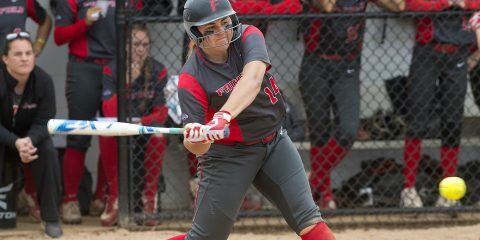 After two close wins, Fairfield secured a 2-2 record for the weekend as they are 6-4 in MAAC play and 14-22 in 2018. They have a mid-week, non-conference matchup against University of Hartford on Wednesday, April 18 at 2:30 p.m. at Alumni Softball Field.